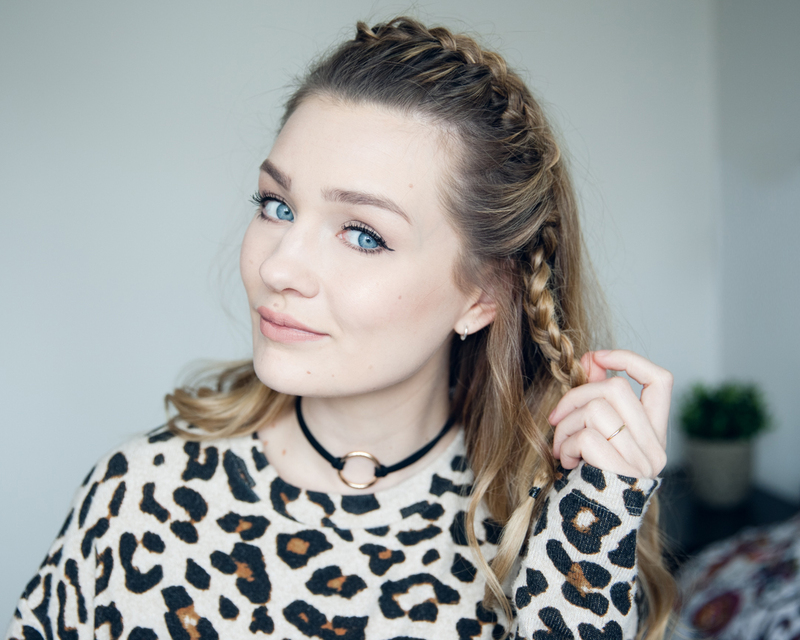 This hairstyle has saved me on many occasions and I’m not even being dramatic! (Okay, maybe a little..) I have worn my hair like this countless amounts of times over the past few years. Starting back when I had the Frankie Sanford cut (google her!) a grown out bob with a fringe and now when my hair is a little longer. Basically what I’m trying to say here is that it works on pretty much any length hair and that’s why you need to know, how. 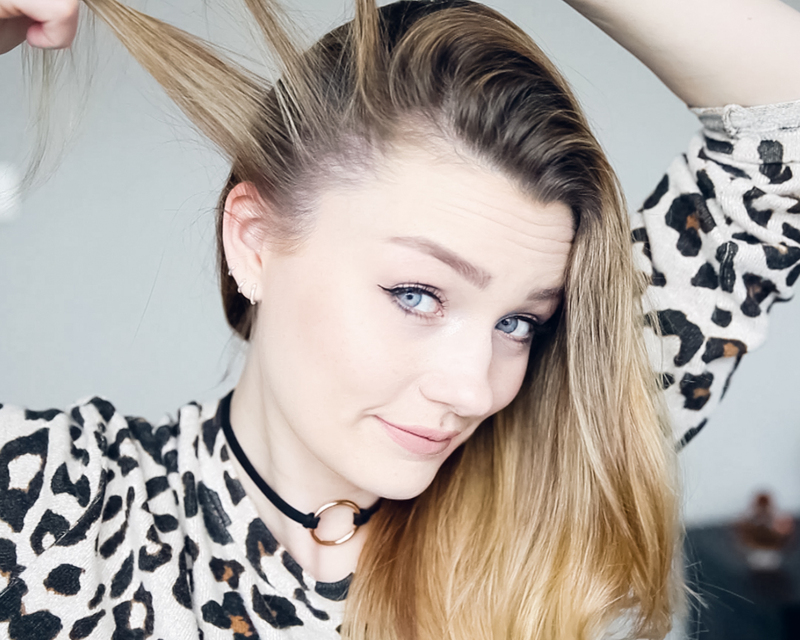 This style is also the best way to cover up dirty hair, for me it’s always the front section that gives it away the most! If you do prefer to watch a tutorial rather than read through some steps, then I have linked my video tutorial below. 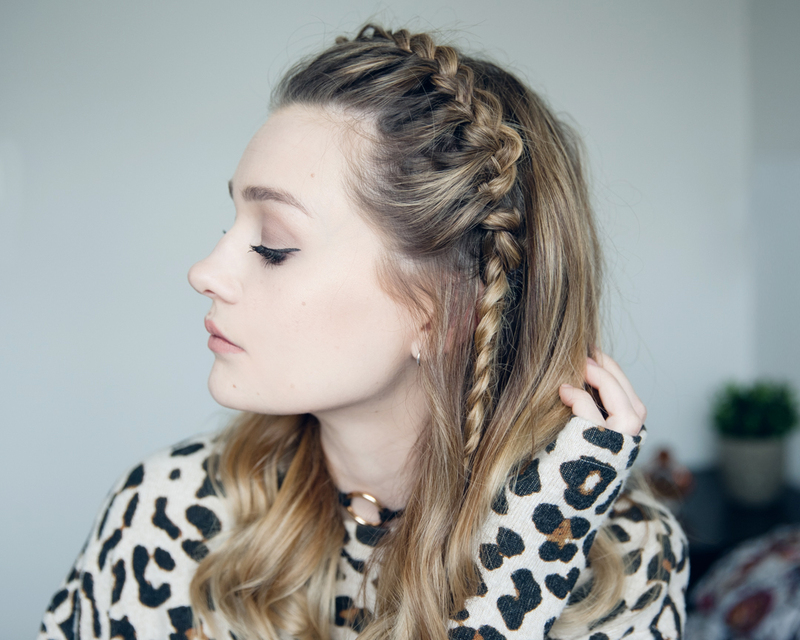 However, if you fancy a read simply follow the steps below for this front-braid style. It’s easy but does take a few practise runs, so don’t get disheartened. As Aaliyah would say, pick yourself up and try again..
Once you get to thicker section of hair, you can start to introduce more hair into your 3 sections. Every time you cross over a piece of hair, you should include a section of hair from the front of your hairline. 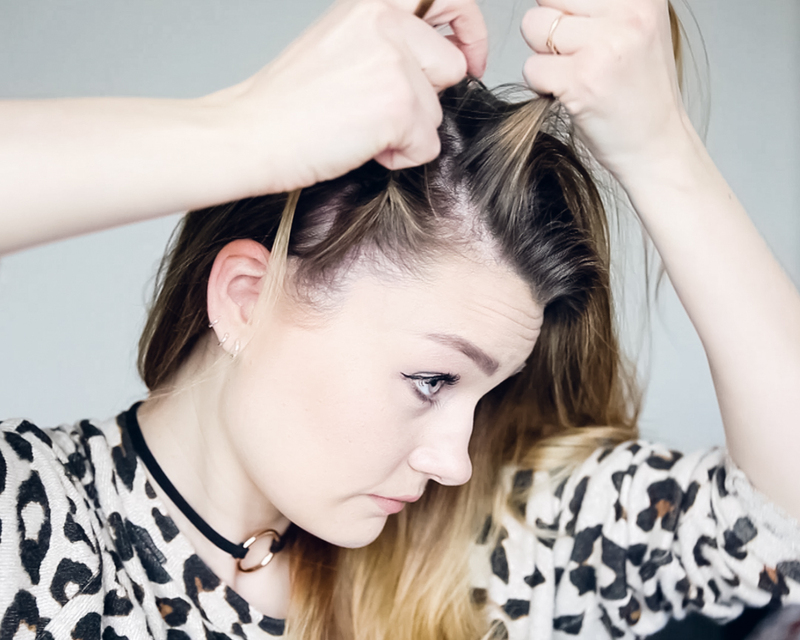 These sections should be kept a similar size and will carry the braid over to the other side of your head. 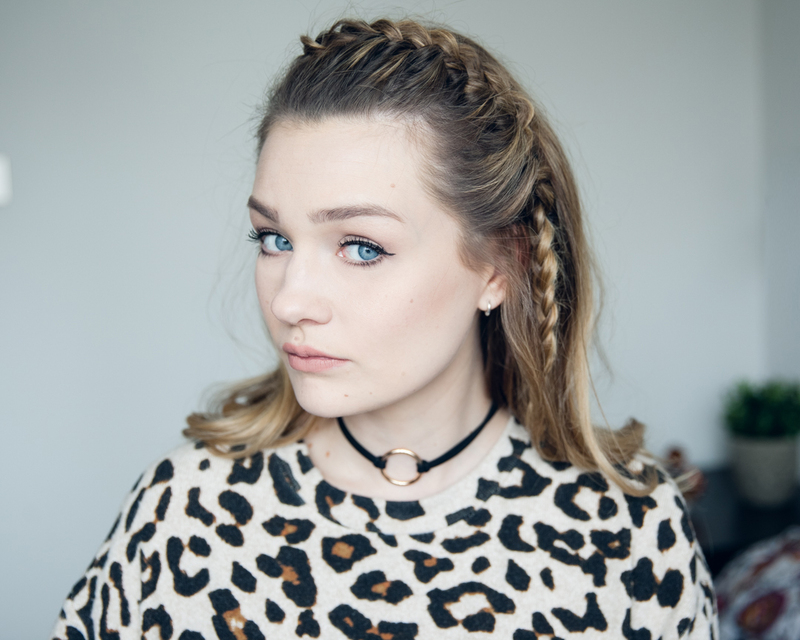 Once you get to your ear you have two choices – stop the braid here and clip in place or carry the braid to the end of your hair. If carried on, secure with a clear elastic. I then like to fan out the braid to make it appear thicker and kirby grip any pieces that feel loose or out of place. 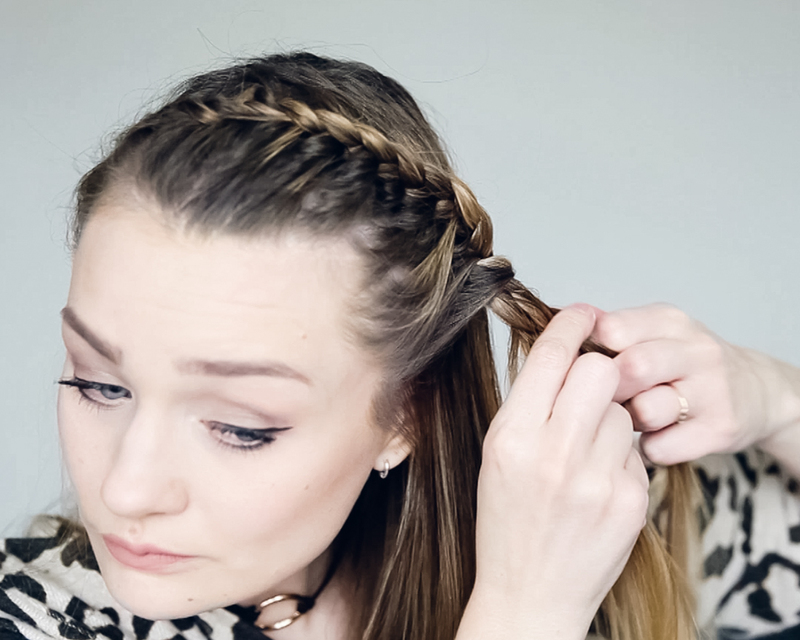 The braid is finished so it’s all about the rest of your hair now! 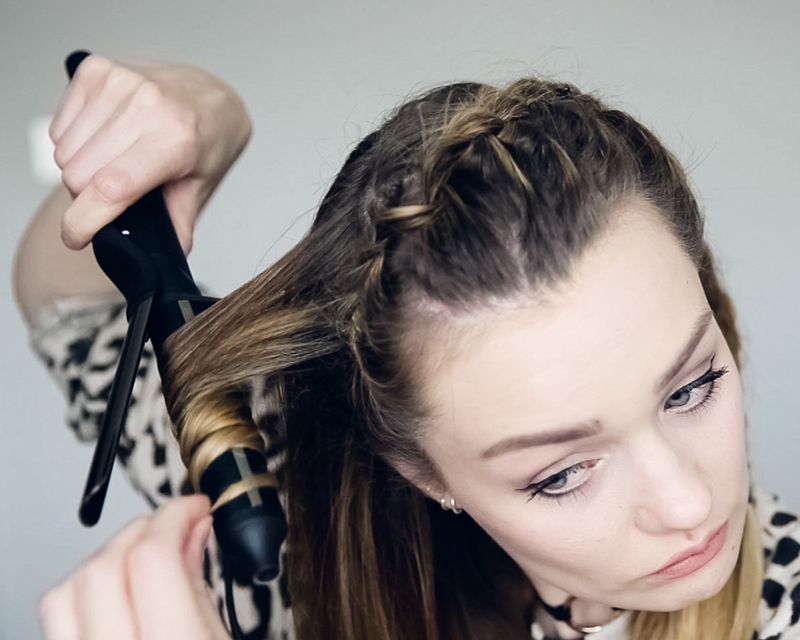 I like to curl mine with the ghd Curve Classic tongs, as this gives a lovely natural wave to the hair. I then finish off with some hairspray and volume spray at the roots. With a quick brush through, that’s it! This hairstyle suits you so much! I love it and will definitely give it a go, I’m sure it’ll be a godsend for work!